SOUTH HOLLAND, IL – The Children’s Theatre Company of South Suburban College announces auditions for its annual play for young audiences. 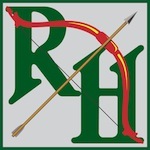 This year’s offering will be Michele L. Vacca’s “The Adventures of Robin Hood.” Auditions are open to all students and community members aged 18 and up. Readings will be held on October 4th and on October 5th at 7 p.m. in the Kindig Performing Arts Center at the South Suburban College Main Campus, 15800 State Street, in South Holland. No prior experience or prepared material is necessary. This delightful, fast moving and humorous play is directed by Ellie Shunko, manager of the Kindig Performing Arts Center and Lansing resident. Shunko is looking for five men and four women, plus various and sundry “Merrie Personages” to fill the cast. “The characters in the show are quite a bit of fun,” says Shunko. “The women in the show are not fluffy set decoration. They are quick, witty and saucy. Maid Marian will best Robin in a duel.” There will be a considerable amount of action in the show including jumping, running and sword play. Actors should be “prepared to run a marathon” for the rehearsals and performances. Copies of the script are available in the South Suburban College library. Most rehearsals will take place 3-4 evenings each week. Cast members are required to attend all dress rehearsals and performances. Performances are scheduled for January 12 and 19, 2019, at 11 a.m. and 2 p.m., January 15-18, 2019, at 9:45 a.m. and 11:30 a.m. each day. For more information, email ssctheatre@ssc.edu or visit the Kindig Performing Arts Center website at http://learn.ssc.edu/theatre/. SSC is located at 15800 South State Street, South Holland, Illinois.